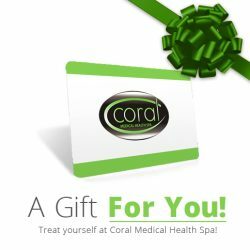 At Coral Medical Health Spa in Windsor, Ontario, we’re very excited to offer laser tattoo removal! Specializing in a number of Medical Cosmetic Treatments including Cosmetic Hyaluronic Dermal Fillers by TEOSYAL and Juvederm Filler Treatments. Intense Pulse Light (IPL) Hair Removall & Laser Hair Removal, Intense Pulse Light Photorejuvenation by Palomar Medical, and BOTOX Cosmetic, we are proud to announce this new treatment to our line of services. From Hoya Con Bio this revolutionary medical laser technology is considered the safest and most effective laser tattoo removal treatment on the market. Dr. Zoia Sherman M.D, a board certified Anti-Aging Specialist, has been researching laser tattoo removal technology since it became available. The Lutronic Q-Switched laser tattoo removal machine was her choice for its efficacy and safety in laser tattoo removal! We provide a complementary consultation with your certified laser technician before any laser tattoo removal treatment begins. Currently the most effective means of removing or fading tattoos is with the Q-switched laser. This laser tattoo removal technology has the lowest incidence of scarring in comparison to other methods. The procedure is minimally uncomfortable, and generally takes approximately 15 minutes per session depending on the size of the tattoo. Usually at least 6 – 14 treatment sessions may be required and these treatments are done 6-8 weeks apart. We are able to remove most colours excluding yellow and some greens. Pricing starts at $49 per treatment and varies depending on the size of the tattoo and time required for treatment. What is a Q-switched laser? Q-switched lasers emit extremely high energy and short pulses of light that shatter tattoo ink particles. This allows them to be removed by the body’s immune system. Tattoos can be removed from all skin types. However, the darker the skin, the less contrast there is between the colour of the skin and the tattoo. This makes it more difficult to remove without damage to the skin. You will feel a sensation similar to an elastic band snapping the skin. Most patients find this procedure uncomfortable but not painful. Immediately after treatment the tattoo may appear raised and frosted (white). The surrounding skin may appear red, and there may be some pinpoint bleeding. An antibiotic ointment may be prescribed to use post treatment. A dressing may be applied. This should be kept dry and left on for 24 hours. Do not pick at any scabs forming. This may take 1-3 weeks to heal. Sunscreen must be worn on the treated area. Removal of 100% of the tattoo pigment is not always possible. It is impossible to know exactly the degree of fading that will occur. Professional tattoos generally require more treatments than amateur tattoos. Sometimes fading does not occur until several sessions have been completed. Sometimes there are texture changes to the skin, or a slight colour difference to the surrounding skin. This may be temporary or permanent. It is possible with any laser treatment to scar, but the possibility is small. This laser is attracted to colour, therefore damage to surrounding skin is limited. Can I apply another tattoo over the area treated? Yes, as long as the area is completely healed. Am I able to remove a newly applied tattoo that I do not like? No. It is highly recommended to wait at least one year to prevent severe burning and potential scarring from treatment. As with any laser there is always a small possibility of scarring. However, the laser energy is attracted to the colouring from the tattoo therefore damage to surrounding tissue is unlikely. If you would like to learn more about your cosmetic options, or find out if laser tattoo removal treatments will work for you, please book a complimentary consultation to speak with one of our certified laser technicians to find out your options.